The Reds, we all know, have certain pieces they should be looking to trade in order to free up spots for other players and/or because they players are unlikely to produce as well as they have in the future. The two most frequently mentioned pieces are Adam Duvall and Scooter Gennett. However, if those players are traded, I would imagine many Reds fans who still pay too much attention to traditional stats and who assume those two are likely to repeat their recent performances will be upset. Take the case of Todd Frazier. Many people believe the Reds didn’t get enough in return for him. But Frazier was coming off an insane year that he almost certainly would never duplicate. And he hasn’t. He has been okay in the two years since the trade and is currently unsigned. There is still a very good chance that Scott Schebler and Jose Peraza produce more than Frazier did in the time he was controlled by the White Sox. One reason the Reds didn’t get more for Frazier might be that analytics are everywhere now. This has been publicly acknowledged in various places throughout baseball (here’s a good example). No front office thinks Duvall or Gennett are above-average players going forward and they aren’t going to pay for below-average players. They are valuable to teams who really need to fill a hole in a cost-controlled fashion or are looking for bench help. The reason there have been actual Billy Hamilton rumors is that he’s the most valuable piece likely to be traded. His speed and defense make up for his bat enough that he COULD be above average. And he has been above average in ways that Duvall and Gennett haven’t been. And this is the most important part: EVERYONE KNOWS THIS. The war is over. Analytics won. Every team uses them. Every team knows which players are likely to provide value going forward and how the players are likely to decline and how much you can expect them to duplicate past performance. Teams aren’t paying someone based off past results anymore. They’re now paying based on projections for the future. So don’t be surprised when guys like Duvall and Gennett don’t bring much in return, and don’t be surprised if the Reds don’t make a trade because no one is offering anything worthwhile. We all have mostly the same information now. There are secrets, but they are generally not big secrets once a player is in the majors. Everything we’re aware of, every GM in the game is also aware of. It’s getting harder and harder to make a genuine steal. Baseball has led the charge. It’s making it’s way in to other sports too. Are you willing to walk me through this scenario? When Gennett hits .285 with 25HR and 90 RBIs this year and doesnÃ¢â‚¬â„¢t further damage himself defensively, will the metrics all the teams look at say he is the player from the last two seasons? I am sure a repeat of last year will change projections, but if you look at projections for this year Gennett is expected to regress. If he can repeat it creates one of those “good problem” situations. The odds of that happening are not good. It might, but it probably won’t. Which is why teams won’t offer the prospects they would if they thought it was likely. If he DOES duplicate what he did last year, it will improve his standing, but there will also only be one year of team control left. Which is irritating. ‘The ppl who care too much abt traditional stats” LOL, what abt the ppl who care too much abt the myriad of sabermetrics or is that possible in the under age 45 demographic? Some metrics are great some are worthless. Arod, Votto, Albert; none were signed for their OBP. They all were signed for other productive stats. GMs use sabermetric more but they are in NO way buying into these stats like 90% of the sports writers… thank god! Those sports writers…. they’ve got it all figured out. Because he is a platoon player with no history behind the breakout. RBIs are discounted because they are a team context stat, not a pure skill stat. If he bats 8th, he gets less RBIs than if he bats 5th. I agree with your central point. Frazier was an MVP candidate at the All star break in 2015. Had they traded him then, I believe they would have received a much better return. The cubs traded Gleyber Torres to get Chapman…..of course Torres is a shortstop and the number 1 prospect in baseball. I’d prefer him over Rookie Davis tony renda, Caleb Cotham and Eric Jagielo. The timing complaints are legit. I was banging the drum to have Frazier traded, but the PR for that would have been terrible. Anyway, that was Walt. We don’t know how Williams will behave with this stuff. So next time Scooter hits 4 HR in a game, DW needs to get on the phone ASAP! You also need 2 people to tango. You, me or anybody else knows what was offered at the time. Given Bob C’s recent comments about Billy H, I think Bob C prevented Frazier from being traded in July 2015. Duvall had a .845 ops on Aug 19th. He had a .923 ops vs lefties. Wasn’t he also in the running for a Gold Glove and an assists leader? I think there is a good player in there with 425 atbats or so? The old saying is true…play a bench player enough and they’ll show you why they’re a bench player. Just one reason of 1000 why Price has got to go and should’ve been gone long ago! If you don’t know your own personnel then you’re worthless to the organization! Scooter to the Yankees for a reliever. They dealt Castro and they’re the kind of team that will pay multi-millions to a platoon player without batting an eye. Price continued to play him in both seasons when he was worn out when he could have used somebody else like maybe Winker or Ervin last year or even in 2016.Price is clueless and as long as he remains he will continue to show it on a daily basis. Wait, so Duvall and Scooter won’t bring Yelich to Cincinnati? Maybe the Marlins haven’t been let in on the secret yet. The existence of Billy Hamilton rumors doesn’t affirm he has value any more than the lack of rumors affirms the lack of value for Duvall or Gennett. Or am I missing the premise? ……and anyone buying on Billy because they think he COULD be above average is ignoring 4 years of data to the contrary. No one is going to pay him for untapped future potential because he has reached his ceiling. Billy’s a poor example IMO, but I get what you’re saying. I agree with the others, timing is critical. Non-performance and injuries (Billy’s inability to play a full season, Cozy’s quad barking at the trade deadline, the death of Jose Fernandez which forced the Marlins to trade for starting pitching which netted us Castillo…..) can trump the analytical value judgments. It’s winter. With no games to play, teams are operating from a position of strength and the analytics will win the day, but at soon as the season begins the math changes. In terms of WAR/150 games, Hamilton has been well above average as a player every year except last year if you go by FanGraphs. 2 out of 4 total years if you go by baseball-reference. I see a 150 lb stringbean….same as when he came up. He hasn’t played 140 games since 2014. The first ingredient of ability is availability. He keeps costing more every year as well. Adios amigo! Ve Con Dios! I’m sure that teams have their own ‘in house’ versions of WAR. I’m willing to bet that they weigh defensive contributions differently as well. If you get the right team that weighs defense higher in their overall calculation, then they are likely to see Hamilton as a more valuable player. If you have a team that weighs defense more lightly in their overall calculation, then they aren’t going to see Hamilton as a valuable commodity but as a well below average player. I’m sure it’s also no secret to other clubs that Billy’s WAR components that give him any value, BsR and Def, have been in decline the last few years. Notably so last season. There is also the caveat that Billy is one awkward dive/slide from the knee injury that will result in him losing a few steps and becoming Replacement Level at best. I’ll be disappointed if the Reds don’t provide themselves with another viable CF option this offseason. I certainly hope the Reds are paying attention to Schebler’s analytics. Adam Duvall has much more value to the Reds than Scott Schebler does. And please don’t spin the yarn about Schebler being hurt for a month. Schebler was just not good hitting in GABP. All year long!! And as a LH hitter, he was atrocious vs. RH pitching. Schebler at Home: .198/.298/.387, 13 HR, 1 2B. Schebler on Road: .263/.315/.570, 17 HR, 24 2B. Schebler vs. RHP: .215/.313/..481. Schebler had 3/4 of his AB’s vs. RHP. Starting Schebler at GABP seems like a misallocation of resources. Almost .200 points lower in Slugging% at home. Pitiful. And that is supposed to be Schebler’s forte, slugging, and he is atrocious at home. Schebler has no business starting games at GABP. That spells out Trade Candidate. Hopefully that secret is out in the Reds front office. They are really very similar players. Schebler gets on base a little more and is younger. Duvall has a longer history of success and hits from the right side. Duvall is good defensively, but Schebler can play CF if needed which means he should be able to handle the corner. Duvall’s overall numbers are brought down by the 2nd half problems, which is concerning to me if you make the playoffs. The Reds could trade both of them and put Winker and Senzel in the corners and probably get better production at both positions, but neither Duvall or Schebler are going to bring any significant improvements back in a trade. He might be. But those were some pretty darn good ABs from a player that nobody is thinking had a fluke performance. There is a reason this group of players has not been above 500 for four years. There’s more than one reason, but the main one is pitching, or lack of it. Injuries to Bailey, DeSclafani and Finnegan, among others, and uneven development of the younger pitchers. With good pitching, this group of players would have been very competitive. 1 year of weird home/road splits doesn’t tell you anything useful. Also, of course, you should pay attention to a player being hurt in a way that seriously impacted his performance. Unfortunately 1 year as a full time player is all we have to go on, so it is what it is. Not a good hitter at home in a slugger’s park. And that is all Schebler will ever be, a slugger. Not a hitter who can slug. He was a part-timer in 2016 which you can throw those 200 or so AB’s into the equation if you desire. But it doesn’t make his overall numbers that much better. And when he tried to play through his shoulder injury, all those games were not at GABP, which would have explained things some a little better if they all had been. You say “1 year of weird home/road splits”. I say that is exactly the player Schebler is. Schebler’s better days would be best suited as AL DH. Not full-time Reds OF. I’m in no way saying I think Schebler is a great player. What I take issue with is your assessment that Duvall is superior. The data don’t support that. And when you talk home/road splits, you’re talk half a season, at best, by definition. Adam isn’t necessarily superior, but I think he’s a better fit for the Reds….atleast how they’re currently constructed. Scooter, Billy, Tucker, and prob Winker are all worse against lefties. Adam had a .923 ops vs lefties plus he’s much much better then Schebler defensively. I think Schebler walked once in 75 atbats or something vs lefties last year? Have to leave or I would look it up again. Something has to give? Winker needs 500 atbats….something we can all agree on! 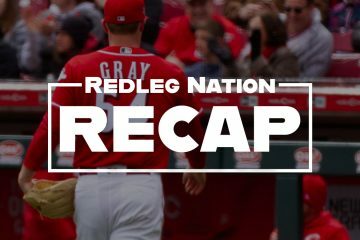 Nobody should be overly concerned about how the Reds are currently constructed. The analysis is over how they should be constructed going forward. I think there’s greater odds that Schebler improves and Duvall declines in the coming seasons. With Schebler being younger, I’m more inclined to keep him than Duvall. Of course, I’d rather have better options in the corner OF positions than either of those two. Well TUcker is signed. Winker isn’t going anywhere. They can’t trade Billy or Scooter. Not to mention Schebler is terrible defensively. I was all aboard for trying Scheb in CF, but he’s bad in RF? Schebler’s career platoon split isn’t nearly as lopsided and in fact he has historically hit better vs RHP than LHP. One needs to be careful with platoon splits over only a season worth of data. The home/away splits might be a bit more telling but I’m not sure there’s enough data there from 2017 to suggest that he will be a crap hitter at home. He only has 416 PA at home for his career and his OPS, even with a bad 2017 home split is only 37 points lower than his road OPS. Thanks for this. I don’t calculate all the stats (I let y’all do that), but I believe they are the better predictors for the future. And the point about timing does make sense … but only for some pretty narrow windows. For every Mike Trout there are dozens of Patrick Kivlehan’s who have some great moments, but will never be more than space fillers. There is a path which well might lead to Duvall being an above average player over the long haul. If he were used as a 1B or DH, the reduced wear and tear on his body could enable him to avoid being a first half wonder as he was in 2016-17. Unfortunately for the Reds, this path does not exist for them. Potential suitors no doubt recognize this weakness in the Reds position and reflect in their offers.. Dump Billy for whatever and get Kiermaier/Yelich for CF and everything else could work out! If they keep Duvall/Scooter…then Scooter could help out in LF vs tough righties. Kiermaier is the highest rated defensive CF in baseball so he could help their efficiency even though Scooter is a hack in LF. Winker gets his 500 atbats. Ervin is interesting to me…7/17 with 2 walks vs lefties. I couldn’t get his stats in the minors vs lefties, but he could help out if KK or Winker struggled vs lefties. Some have suggested Senzel to SS which is interesting to me as well? The pitching should improve greatly, but to assume the offense (14th in runs) with Cozart/Scooter exploding, will keep up is not a sound strategy imo. The Marlins can hold out for a steal of a deal for Yelich. Their starting point with the Reds would be asking for Senzel and-or Greene. The Reds should not make that trade. “One team said the Marlins, in Yelich talks, expressed a preference for more developed prospects who are in Double A or above. The Marlins want multiple prospects from a teamÃ¢â‚¬â„¢s list of Top 10 prospects. But the Braves have plenty of competition. As ESPNÃ¢â‚¬â„¢s Jerry Crasnick noted, the Diamondbacks, Blue Jays, Dodgers, Phillies, Padres and Angels are among other teams that have inquired about Yelich, 26, whoÃ¢â‚¬â„¢s a career .290 hitter. Ã¢â€“Âª One team that spoke to the Marlins said Miami tried to get a third team involved because it liked that teamÃ¢â‚¬â„¢s prospects better. But a two-team trade seems more likely. Ã¢â€“Âª If the Marlins trade Yelich, they likely would need to sign a cheap free agent outfielder to replace him unless they get a big league-ready prospect back in the deal or any other trade in the next two months. – Why aren’t the Reds one of the teams that have inquired about Yelich? That would be FO malpractice if that is true. – Perhaps a package of Billy H, Vlad Gutierrez, Shed Long is enticing for a Marlins that is desperate for payroll reduction, profitability, and farm replenishment. – Nevertheless, the Reds have the prospects to sweeten a deal a young, economical, already-established batting stud with good-enough defensive skills. Make the deal! That isn’t good news for the Reds. With Doug Gray’s top-25 Reds prospects, most of the top prospects are in A+ or lower. That is why a deal for Yelich would have to include Hunter Greene. Winker is part of the Reds ML team. Senzel is untouchable. Will have to give up Greene. With that criteria, by giving up Greene they can protect Senzel and possibly Trammell or Mahle. Even with Greene, it will take 4 more prospects in the top-20 to entice the Marlins. That 5th prospect included might help outbid other teams. I’d entertain trading Greene. I can’t help but think that he’s just a Tommy John waiting to happen. I’ll take Yelich now vs the risk of waiting on him to come up and blow an elbow. I will play what we have versus give up Greene or Senzel. We have 31 pitchers going into camp. We will need to be trading them. Maybe we need to shoot lower than Yelich for now. Senzel, Winker, Siri, Mahle…. That would be the ask if it were me… For all we know, the Marlins are hearing similar offers from other teams. The Reds need to have the quality and quantity of players to match what the Marlins value and they need to have sufficient enough talent in their offer to beat out other teams. If I were the Reds, I’d put a solid offer out there but I’m betting I couldn’t get it done. I wouldn’t give up 3 of the 4 above and I think that’s what it would take, at minimum. If I was the GM of the Marlins, I’d tell you to call me back when you were serious if that was the offer you put on the table for me for Yelich. I think the ask starts with Senzel. He’d be the centerpiece in any deal if it were me negotiating with the Reds. And the Reds have steep competition as someone is going to give the Marlins at least one prospect on the same level as Senzel.They will also add at least 1 or perhaps 2 more good prospects. The price for Yelich will be high and it should be. Agree completely! Teams have the best info and tools ever to predict what a player will do if they acquire him, and these tools and info are quite similar team to team. Teams are placing a much higher value on their own talent pipeline – analytics tells them how valuable these young players are – so teams offer less of it in deals for players who are older. When you combine the ‘analytics effect’ with a unique off season market for players (teams trying to get/stay under luxury tax, next year’s potential bonanza of available talent), the resulting offers for players – both in trade and to free agents – are low. In a normal off season, once a couple of top free agents get signed, teams move in to get what they need before the supply is gone. This year,some of the movement has been high priced (see pitching, especially top relievers), but the dam hasn’t moved, much less burst, on position players. Now that teams are starting to accept the low offers, the market is settling in at a level that means any return for the Reds pieces will probably be very low. Unless something changes to create urgency for one of the pieces the Reds would like to move, I expect the team to wait. The trade deadline will probably see higher prices paid, maybe much higher. We will have to hope that these pieces each perform well, avoid injury and increase their value between now and July. I donÃ¢â‚¬â„¢t think Duvall or Gennett is going to net the Reds player better than Duvall or Gennett, or a prospect that is likely to be better. Keep them! Use them in platoons. Duvall/Schebler in right and Gennett/Herrera at second. We need to see if Herrera can play this year. Best comment yet… we’re in such a rush to play GM but really we don’t have strong hands to play (outside of trading young superstars). Any “steals” are going to come in the form of young players that bloom on their way through the farm system (years away). From a specific point (trade deadline 2018) we can make some smarter moves and trade with contenders that have a demonstrated need. Or we can play in FA market when we have a demonstrated need to fill (after 2018 season). But for now, we don’t have the money or the chips to play in either market. Let’s be patient, utilize the resources we currently have, let the every day roster fill out while it learns to compete in 2018. The same holds true for the young/injured pitching. We have a bevy of arms that need to marinate (or recover) some more at the ML level. Let’s watch and see them mature then make decisions based on growth. 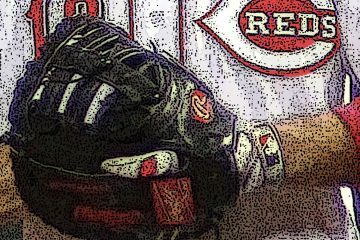 If 2018 is good the Cincinnati Reds, it will be in the fact that more moneys become available for the 2018/2019 FA market and that trading chips develop through the course of the season. My greatest concern is that the latter won’t happen (current coaching staff). I agree. Everyone’s in a rush to play GM and get rid of Duvall. Our LF situation was crickets for years until Duvall arrived. Let me guess: let’s trade both AD and Scooter for “prospects”. How’d that work out for Bruce? I wish the Reds would use R/L platoons a bit more. This is especially true for guys like Barnhart and Gennett who historically have large platoon splits. Gennett probably shoudln’t start against LHP if there is a viable alternative. I like Blandino more than Herrera at 2B. If only Herrera could stay healthy. The reason I think there is so little buzz on Blandino is two-fold. One is the time he spent injured which affected two of his seasons, 2015 ad 2016. Last year was a very good, but not great rebound season for him. The second is he doesn’t do anything great but his OBP. But he does several things very well though. We will see just how important OBP is with the Reds in 2018 with how they handle Jesse Winker, and to a little lesser extent, Alex Blandino. Blandino is one to closely watch this spring. A sleeper to watch this spring might well be OF Tyler Goeddel. He’ll start out at AAA, but is the same age as Blandino. Not as good on OBP as Blandino, but not far behind. Would like to see a little more power from both, but I am hoping both have breakout springs. I think Blandino will be a better defender at 2B than Herrera. He’s a bit older though at 25. Herrera though is turning 24 in early March. I think Herrera, if healthy, will hit better than Blandino. It would be interesting to see if the BB% Blandino has shown will translate to an above average BB% in MLB. the front office doesn’t just look at analytics when they make their roster decisions though. they look at the age old question of who is gonna put fannies in the seats? that is why the Reds went after Junior when they had a world series caliber club in 1999.
that is why there is no way the reds will let Hamilton and Duvall go. they are fan favorites and the ladies love Duvall! They traded BP who was adored by a lot of fans. His popularity was waning some but he was still a well liked player. I don’t think they’d keep Duvall or Hamilton for the “fannies in the seats” reason as their main reason. Maybe that plays into it some but I’m thinking the baseball people and analytics department evaluations weigh much more heavily in the decision. STL just dramatically improved their bullpen. Reds do nothing. The Cardinals traded OF Randall Grichuk to Toronto for RHP Dominic Leone. I’ve said many times the Reds could/should trade for Leone. Leone is closer material and a backend of bullpen stud. Schebler would have been a better offer for Toronto than Grichuk. But Reds front office is standing down, standing pat. This is disappointing news. I’m resigned to the likelihood that Duvall, Gennett, Hamilton and Peraza will all be Reds in 2018, largely based on the valid point you make about analytics Jason – everyone has the same information. What I cannot abide is another year of the Reds ignoring that information when it comes to playing time. If those four all play at the expense of Winker and Senzel (who almost certainly ARE better options) and Herrera, Blandino and Ervin (who certainly COULD BE better options) then my resignation turns to disgust. It’s fine that there are no overwhelming offers coming in for those four since they don’t really have overwhelming value. But it will be a shame if those fairly ordinary players steal time from players who will be or might be much better. Free the prospects! Random thought that I wanted to bounce off of you guys, if certain free agents stay available late into winter and into spring, what do you think are the odds that the Reds jump in on them? I’m not a strong believer in Peraza at SS, so what if a guy like Alcides Escobar stays on the market until late? Our Mike Moustakas or bring back Frazier and move Suarez back to short? Or even some well established pitching like Chris Tillman/Jason Vargas/Clay Buchholz/Tony Watson, who are still pretty good themselves, to mentor young pitchers? This is a good question, particularly for the SS position. Very unlikely odds, but a great middle-of-class-boredom thought. Safe to say Escobar’s asking price will be much lower in late February than it is now, though. I do not want the Reds to trade anyone who is a starting player now,they have done terrible in trades and basically traded away great and fan favorite players. The current Reds front office would have traded Larkin in his prime for cash or a player to be named later who would be a Class A middle reliever. This rebuild is taking way to long and the GM should be the next to go. I still say the quality of players they have gotten in return regardless of the guys impending free agency has been a joke. Castillo for Strailey, Duvall for Leake, were great trades. Schebler and Perraza for Frazier we’re good, but would have been better if Frazier was traded sooner. Chapman trade was horrible and like Frazier was the result of not trading sooner. Cueto’s trade may or may not turn out good. The Bruce trade looks to be bad unless Herrera gets a robotic shoulder. The Bruce trade looks bad, with both Hererra & Wotell being injured.The Chapman trade was bad, mostly because of the timing (initiated by Castellini). However at least they pulled the trigger & got something. Getting nothing for an All-Star shortstop (ZC)& next to nothing for one of this franchises best 2nd baseman (BP) is just lousy. A small market team simply can’t afford to get no compensation (in talent) for the loss of such players. Getting nothing from Cozart was unfortunate, but his injury last year was mostly to blame for that. The previous year the rumor was there was a trade in place but didn’t get finished because they were dealing with the Mets on the Bruce trade. If that is true, that is a huge failure. BP returned nothing because he had no trade rights and invoked them at every opportunity. There was nothing the Reds could have done, except not extending him in the first place. However they were trying to keep the core intact at that time to compete.